Ankara is the modern capital of Turkey and the second largest city in the country with population of over 4 million people. Till the 20th century it was a small town with only 16.000 residents and was famous for Angora wool production. Later on Ankara became the capital of Turkey during the national liberation war in 1923. 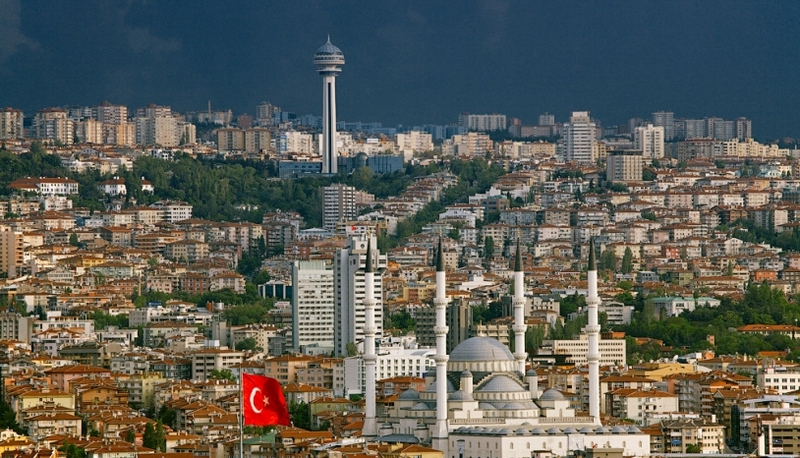 Ankara is not as popular among tourists, as Istanbul or Antalya, though it is the city with the richest history, culture and diverse architecture. The oldest city’s attractions originate from Roman times: the Roman Baths, the Julian Column and the Roman Temple. The Hissar citadel and the cemetery are most remarkable monuments of the Byzantine period. The Seljuks built in Ankara the Aladdin Mosque, square in shape with a single minaret. Most of the historic buildings were built in the Ottoman period. Although these seem to be less impressive, than the buildings of earlier times, these still deserve the tourist’s attention. The most notable is the Haci Bayram Mosque, built in 15th century. One of the main attractions of Ankara is the Museum of Anatolian Civilizations. It is one of the richest museums in the world. Here you can see a unique collection of exhibits from all over Anatolia and the world's largest collection of Hittite culture monuments. Along with this, the museum contains the Palaeolithic collections, Neolithic stone products, products of the Bronze Age, relics and monuments, relating to all civilizations, that lived in Anatolia (Phrygians, Assyrians and Urartu). Anıtkabir (the Mausoleum of Mustafa Kemal Ataturk) is one of the modern architectural monuments of Ankara. It is located in the new part of the city. It was constructed 15 years after Ataturk's death in 1953, in honor of this legendary figure. His remains are kept inside the mausoleum. There are vases, filled with soil, brought from all provinces of Turkey. The museum, where personal items of Mustafa Kemal are represented, is situated near the mausoleum. The museum is also worth the attention due to its amazing historical panorama of the independence war, accompanied by the thematic music. 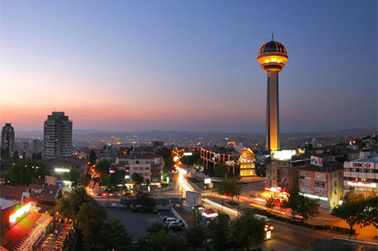 For the lovers of entertainment and nightlife Ankara offers a variety of options. There are a lot of night or disco clubs and bars. The more serious tourists can visit restaurants and cafes, that offer a variety of dishes for every taste. A huge number of workshops offer their visitors various items and souvenirs from copper : plates, pitchers, mugs, candleholders and other utensils. In Ankara, you can get a good handmade Turkish carpet. There are also many modern department stores, shopping centers and boutiques.